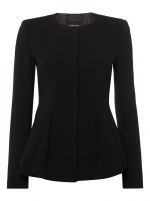 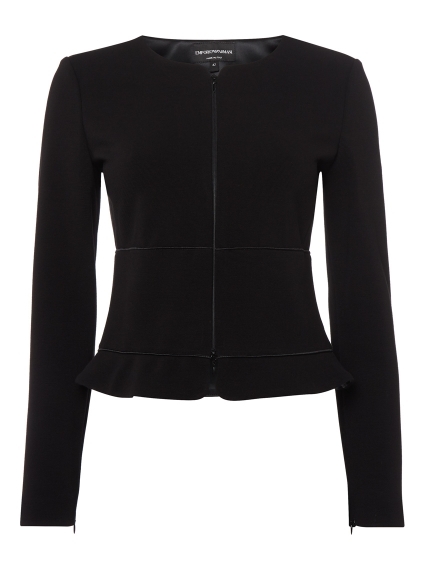 Purveyors of flattering tailoring, Armani have delivered with this collarless, zip up design. 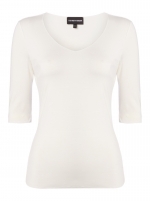 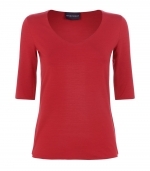 The clean front placket and collarless neck needs nothing other than a slimline silk tee or jersey t-shirt underneath. 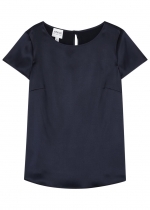 Wear with the coordinating jersey pencil skirt for a polished workday look.